ST. LOUIS – Webster University is frequently recognized as having one of the best study-abroad programs in the country. The program has been nationally ranked and featured in articles in national newspapers, including in Time Magazine earlier this year, which recognized Webster University for its residential campuses located in multiple countries. More recently, LifeHack.org named Webster University as one of the 11 most unique universities in the nation, citing its strong study abroad opportunities for students and its multiple locations around the globe. 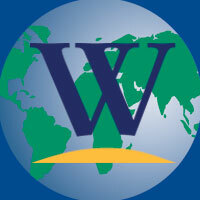 This week, Webster University took steps to make its international education efforts stronger. The University pledged to double the number of students who study abroad by 2020 as part of the Institute of International Education’s (IIE) Generation Study Abroad initiative. Webster will meet this goal by enhancing curricular and co-curricular experiences at its international campuses, adding study abroad locations through new partnerships, and increasing financial support for study abroad. At Webster University, approximately 20 percent of each graduating class of undergraduate students has had at least one study abroad experience. IIE launched Generation Study Abroad early last year in the belief that the number and proportion of today’s students who graduate with an educational experience abroad is far too low. Currently, fewer than 10 percent of all U.S. college students study abroad at some point in their academic career, according to the Open Doors Report on International and Educational Exchange published by IIE with support from the U.S. Department of State’s Bureau of Educational and Cultural Affairs. Generation Study Abroad aims to grow participation so that the annual total number of students who study overseas will reach 600,000 by the end of the decade. Webster University is one of more than 150 institutions of higher education who have signed the Generation Study Abroad initiative. The Institute of International Education is a world leader in the international exchange of people and ideas. An independent, not-for-profit organization founded in 1919, IIE has a network of 19 offices and affiliates worldwide and over 1,200 member institutions. IIE designs and implements programs of study and training for students, educators, young professionals and trainees from all sectors with funding from government agencies, foundations, and corporations. IIE also conducts policy research and program evaluations, and provides advising and counseling on international education and opportunities abroad. For more on Generation Study Abroad, visit http://www.iie.org/Programs/Generation-Study-Abroad. With its home campus in St. Louis, Missouri, USA, Webster University (www.webster.edu) comprises an action-oriented global network of faculty, staff, students and alumni who forge powerful bonds with each other and with their communities around the globe. Founded in 1915, Webster is a private non-profit university with 19,000 students studying at campus locations in North America, Europe, Asia and Africa and in a robust learning environment online. The University is committed to delivering high-quality learning experiences that transform students for global citizenship and individual excellence.